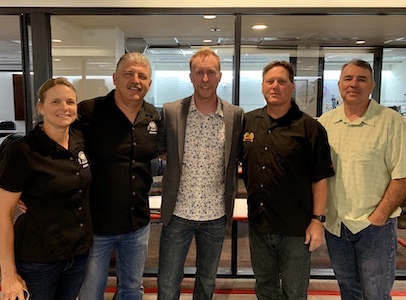 Today, Local 1014 was proud to co-sponsor and attend the Quarterly Peer Training for our Los Angeles County Fire Department (LACoFD) Peer Support Program along with the Department. 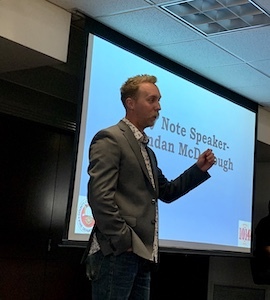 Special thank you to Brendan McDonough, the lone survivor of the Granite Mountain Hotshot Crew tragically killed in 2013, for joining us as our guest speaker today. Brendan shared powerful testimony about the importance of the Peer Program in his life and for people he has met across the county as a spokesman for mental health in the fire service. “People say time heals but that is a half-truth… time heals all with great support…You (peers) have given freedom back to people who have suffered silently,” he said to the participants today after sharing his own struggles with addiction and depression. Growing our Peer Program is a major component of expanding our Behavioral Health Program within the LACoFD. As we look to address the growing problem of post traumatic and cumulative stress injuries, we need every tool available to us, including our most important resource, our members. On the legislative front, your Executive Board is working hard to pass legislation that will protect our members as they access behavioral health services. President Dave Gillotte, Chair of the California State Task Force on Behavioral Health in the Fire Service, is working with members of the Task Force to move important legislation that will allow our Peer Support Teams to establish a confidential Peer Support and Crisis Referral Services pilot program for California’s Firefighters and First Responders who have suffered a post-traumatic stress injury (PTSI) and are seeking support. 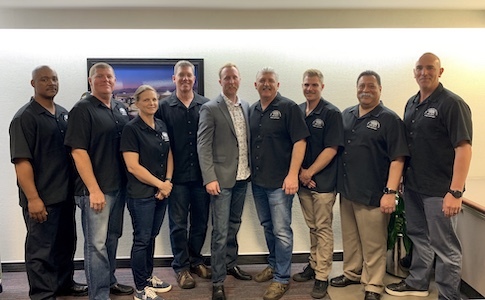 Last year, AB 1116 (Tim Grayson, D-Concord) which would have established a confidential Peer Support and Crisis Referral Services pilot program for California’s firefighters was vetoed. However, we are optimistic that Governor Gavin Newsom will be supportive of a new bill and we will see success. Please see attached flyer for a special interactive workshop for couples in the fire service taking place on April 6 at the Union Hall and hosted by Dr. Mynda Ohs, PhD and founder of Fully Involved Life. Getting our members and members across the state the help and support they need for behavioral health and PTSI is a priority for Local 1014. As we push for greater protections for our members at the state level, we continue to focus on making our LACoFD Peer Program more robust. Take care of each other and please utilize the resources in your stations and www.healingourown.org. Have a safe week and remember to take care of each other.